I wholeheartedly congratulate you on the anniversary of your enthronement as the Patriarch. You continue the labours of your predecessors, the late lamented Patriarchs of Bulgaria, Maxim and Cyril, and give all your strength for the sake of spiritual revival of the Bulgarian people, Your teach the shepherds and the flock the truths of the holy faith of the fathers, love to God and the neighbour by your inspired primatial words and by your own life. This difficult ministry, which does not lack ‘Christ’s affliction for the sake of his body, that is, the church’ (Col 1:24), is being invisibly lightened by the prayers of God’s saints, including St. Sergius of Radonezh, the heavenly patron of the Moscow Theological Academy. For some years you were and still are a member of this spiritual family. Russian Orthodox bishops and clerics, with whom you offered ‘a sacrifice of praise to God, that is, the fruit of lips that confess his name’ (Heb 13:15), remember Your Holiness and love you. That is why your participation in the celebration of the 1025th anniversary of the Baptism of Rus’ was for us a delight and blessing. 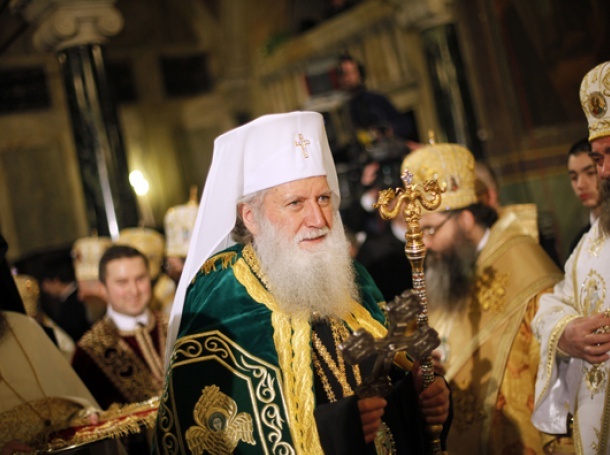 On this day solemn for you and for the whole Bulgarian Orthodox Church, I prayerfully wish you good health, audacity in prayers for the destiny of Bulgarian Orthodoxy and God’s almighty help in your Patriarchal ministry.